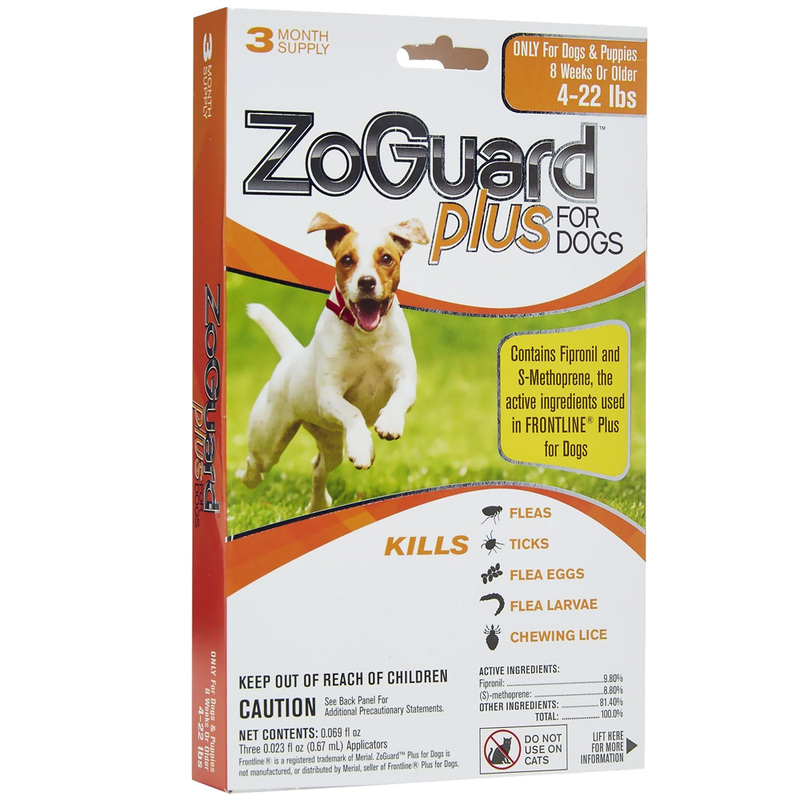 ZoGuard Plus for Dogs offers superior flea & tick protection at a better value. 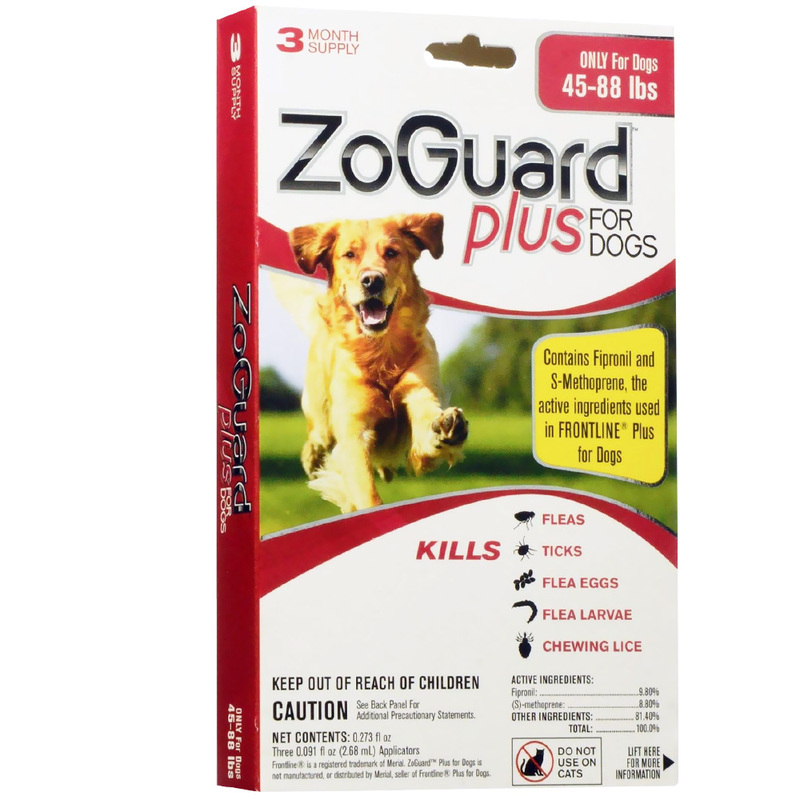 ZoGuard Plus has the same active ingredients used in Frontline for Dogs. It kills fleas at all stages of the life cycle, including eggs and larvae, as well as four species of ticks including deer ticks, American dog ticks, and brown dog ticks. It also eliminates lice. ZoGuard Plus is one of the only products available, besides FRONTLINE Plus, with the combination of fipronil and (S)-methoprene, making it an effective option for affordable flea and tick control. ZoGuard Plus can be used on dogs and puppies 8 weeks or older. 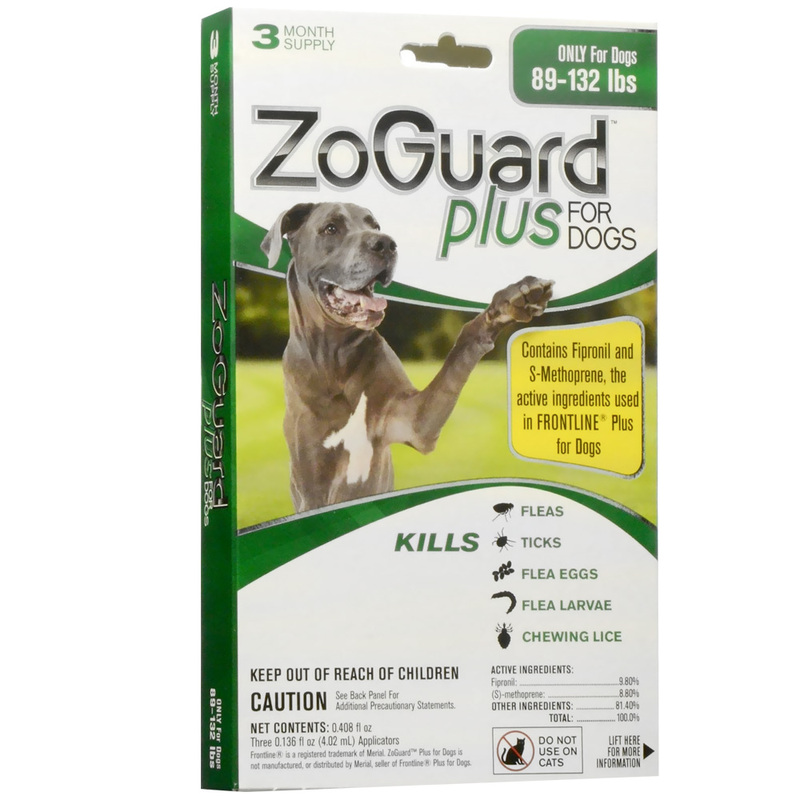 ZoGuard Plus is manufactured and packaged in the United States. ZoGuard Plus should be applied monthly, or every 30 days. Do not reapply before the month is through. ZoGuard Plus works for a full 30 days. 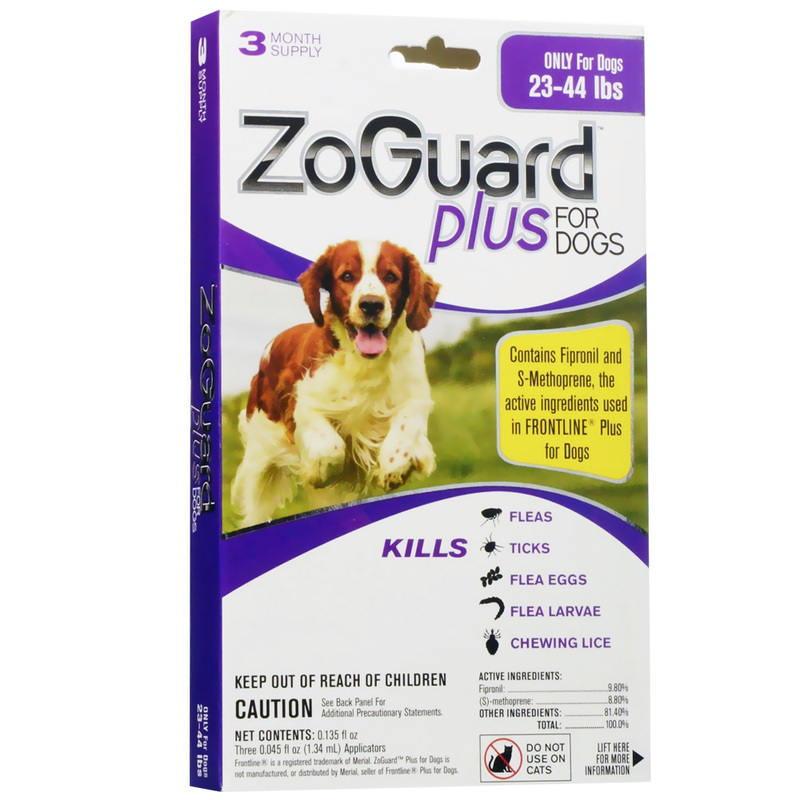 ZoGuard Plus for Dogs contains Fipronil and (s)-methoprene, the active ingredients used in FRONTLINE Plus for Dogs.